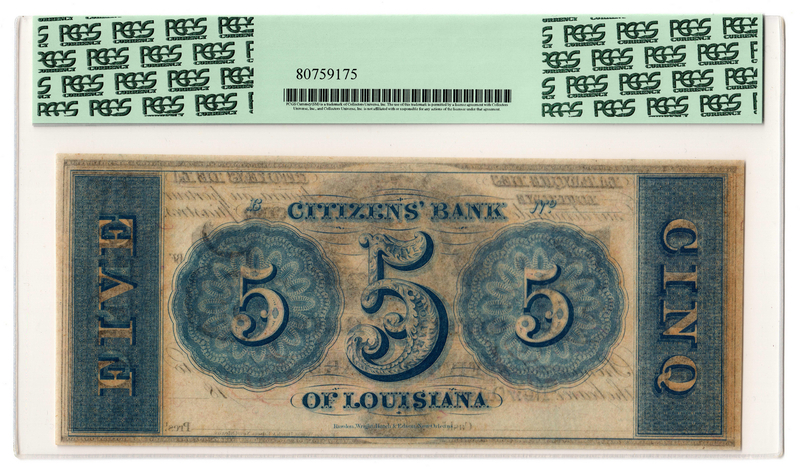 Three (3) Louisiana obsolete "remainder" bank notes. 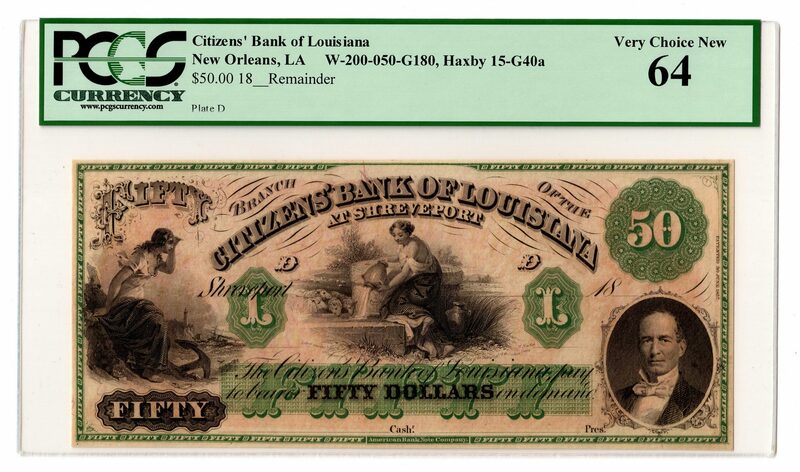 1st item: $50 Citizens Bank Of Louisiana Obsolete currency Remainder note, Shreveport. Green tint with red back, depicting a central maiden pouring water. W-200-050-G180, Haxby 15-G40 a, Plate D. PCGS graded 64/Very Choice New. 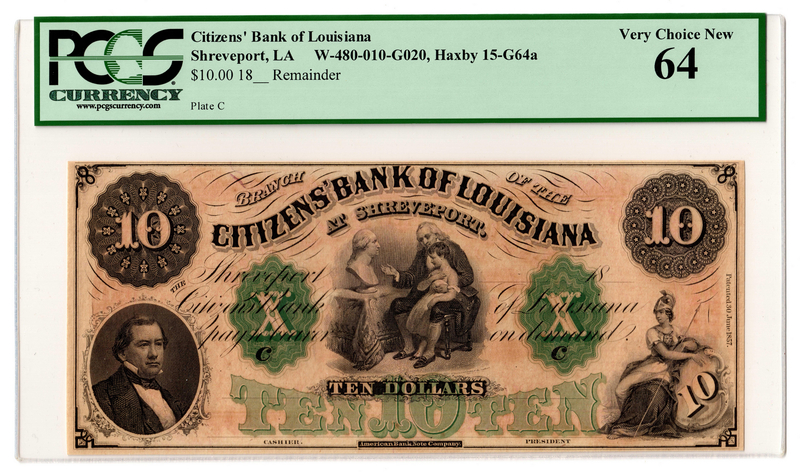 2nd item: $10 Citizens Bank Of Louisiana Obsolete currency Remainder note, Shreveport. Green tint with red back, Revolutionary theme. W-480-010-G020, Haxby 15-G64a, Plate C. PCGS graded 64/Very Choice New. 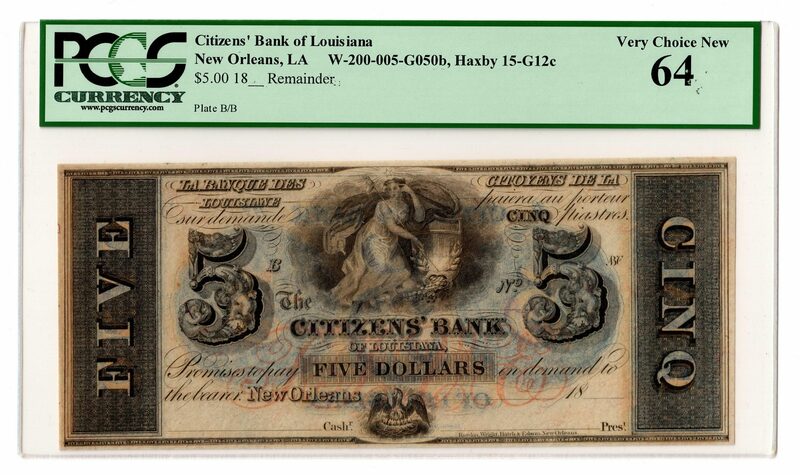 3rd item: $5 Citizens Bank Of Louisiana Obsolete currency Remainder note, New Orleans. W-200-005-G050b, Haxby 15-G12c, Plate B/B. PCGS graded 64/Very Choice New. 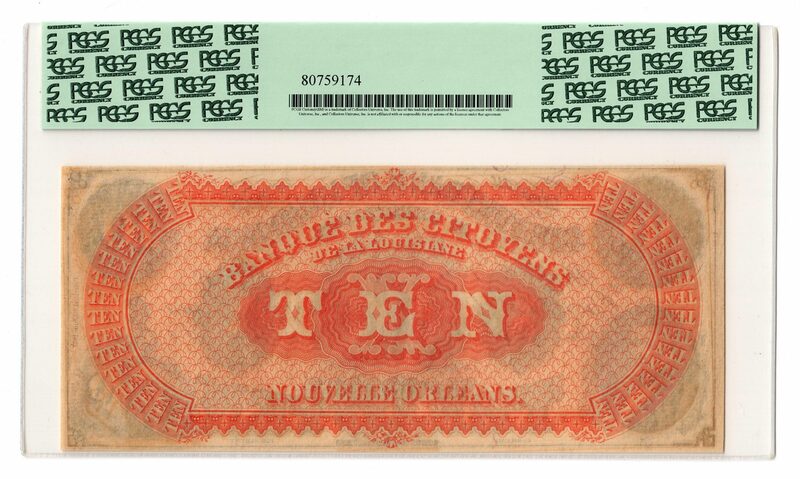 Note: Remainder Notes were those that were left in the bank upon it's closing. They "remained" in the bank vaults and never circulated. 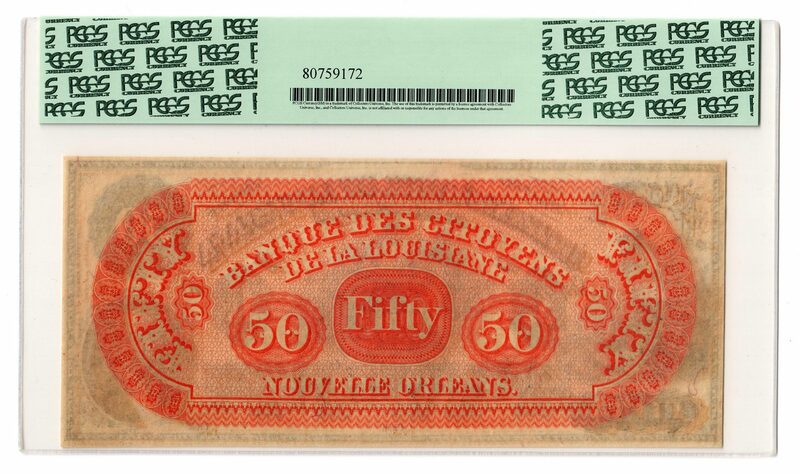 Most only become available to collectors when the vaults or banks were cleaned out and the remainders were then discovered. 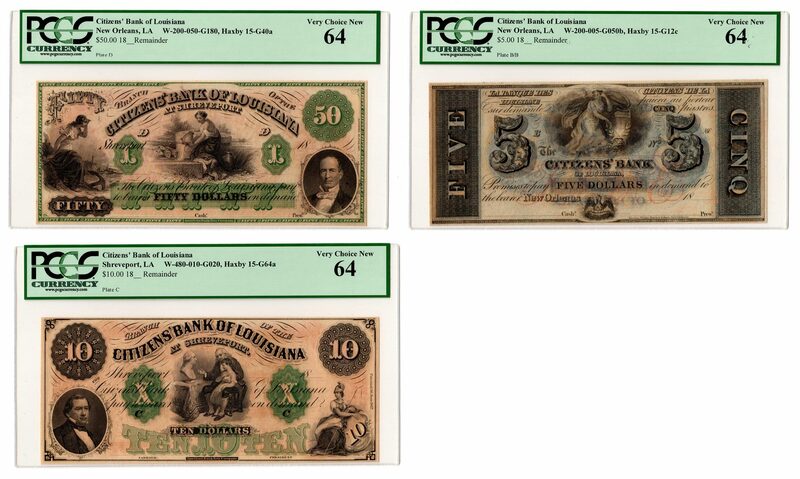 CONDITION: All notes PCGS graded 64/Very Choice New.